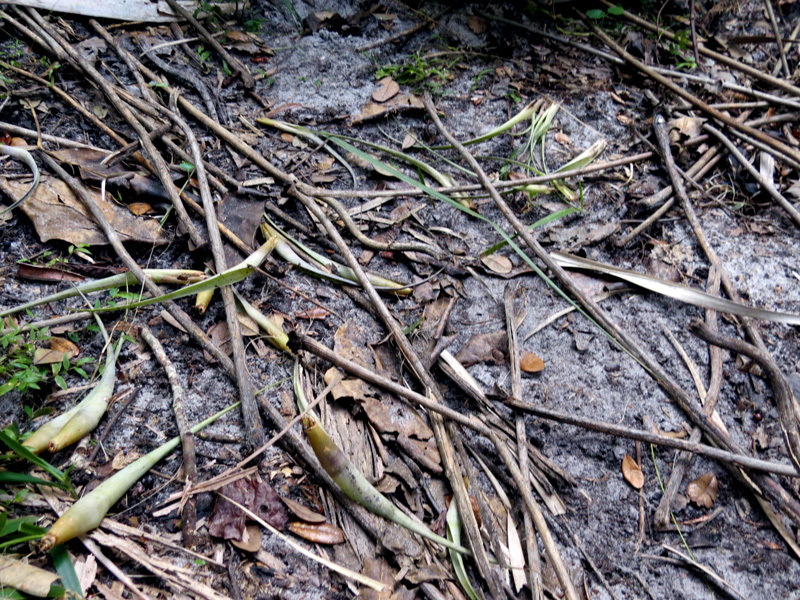 Fresh evidence of the ‘evil weevil’ is pictured above on 1/10/2015 at the Florida Medical Entomology Laboratory when Diane LaRue (Class of 2012) and Jean ‘JJ’ Romano (Class of 2013) were working to control invasive pest plants at the Oslo Riverfront Conservation Area (in addition to on their ‘regular’ Wednesday workday). 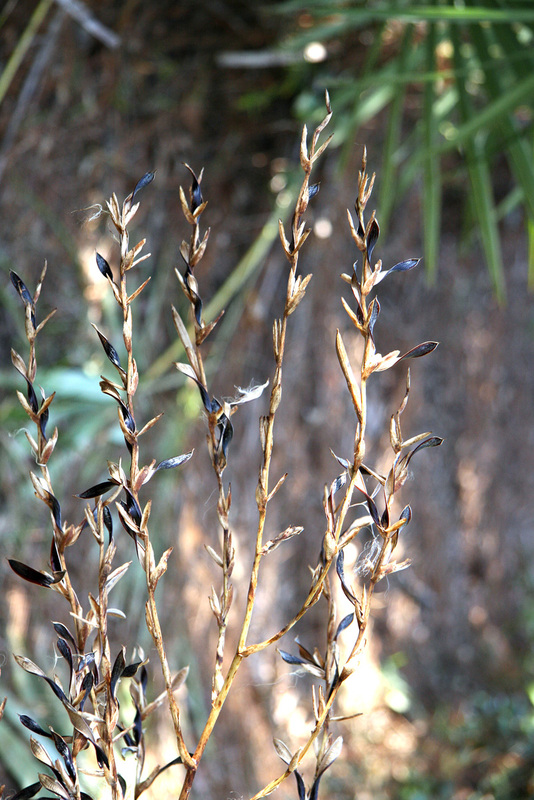 This invasive invader insect, Metamascius callizona, in its larval stage chews through ‘tank’ bromeliads, native and non-native. 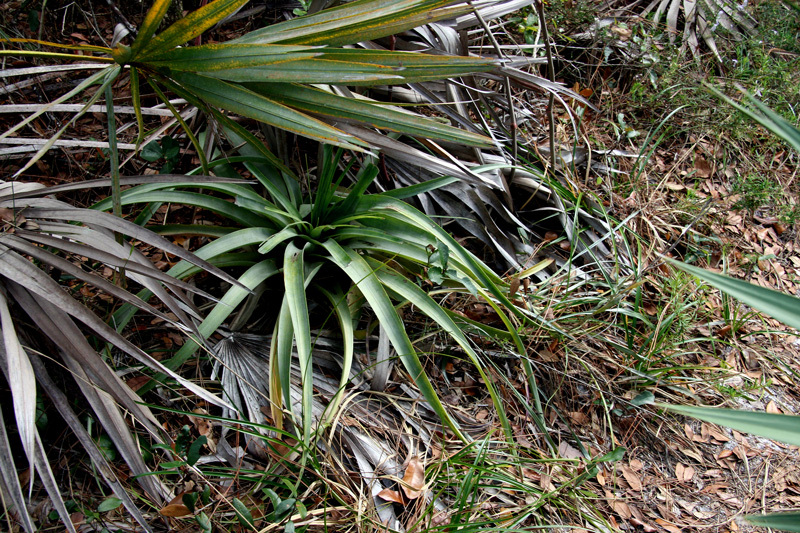 It is thought to have been brought to Florida accidentally by the ornamental bromeliad trade and was first identified in 1989 at a bromeliad nursery in Fort Lauderdale. 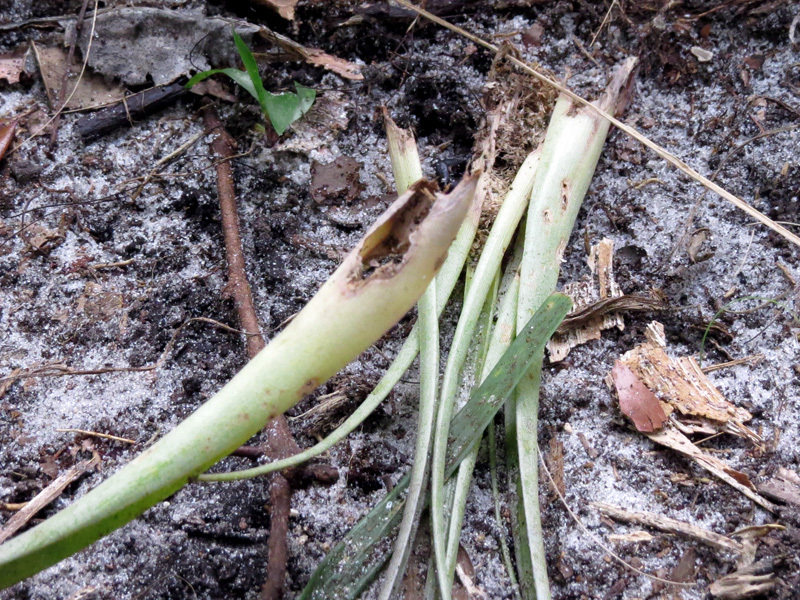 Two years later, this ‘evil weevil’ was documented in 4 southern Counties. 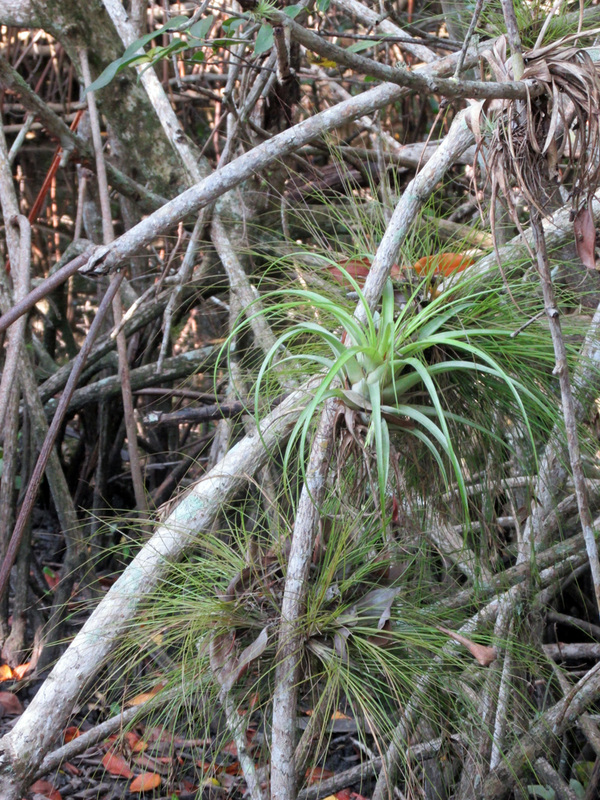 In 1998 this pernicious pest was found in Indian River County, where it has decimated the once ubiquitous population of native tank bromeliads, particularly green wild pine (Tillandsia utriculata) and red wild pine (Tillandsia fasciculata). 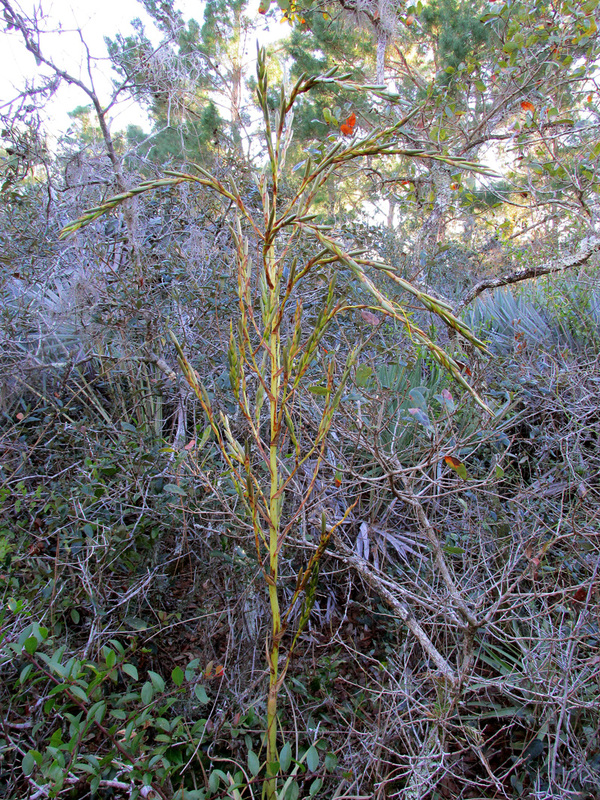 The scene above, gnawed leaves of green wild pines, littering the ground was frequent and heart-breaking. 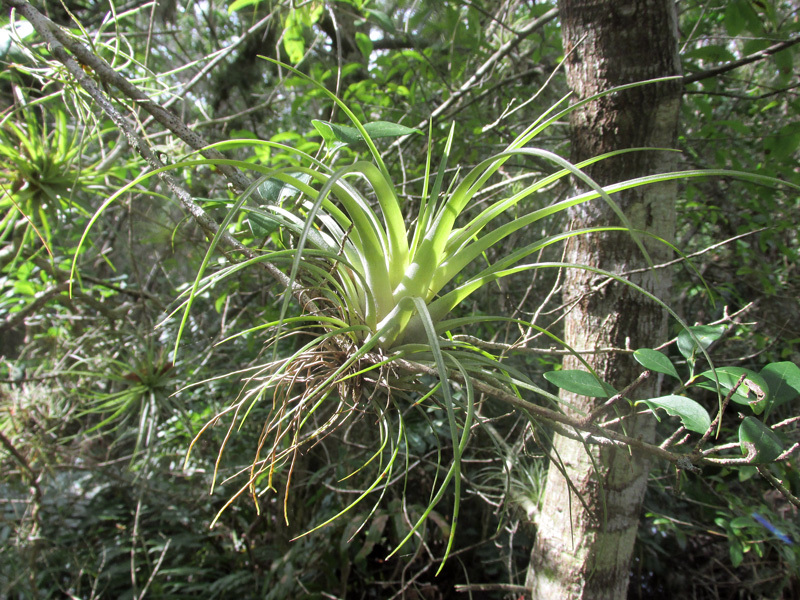 Very young, tiny bromeliads were spared, as they did not offer enough ‘food’ and have grown up – only to be devoured now. 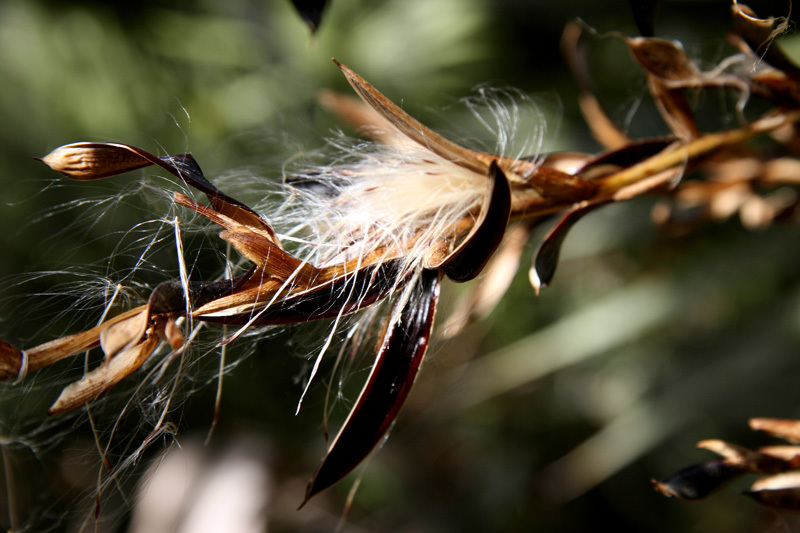 Green wild pine is monocarpic, a plant that flowers and then dies.